แผ่นรองคางไวโอลิน GelRest สามารถติดได้กับตัวรองคางทุดประเภท chinrest via the peel-and-stick adhesive. ชุดรองคาง The GelRest Pro is a complete chinrest. The GelRest cushion is securely mounted to our specially designed hand-carved frame. Guaneri, Kaufman, and Flesch chinrest styles are available. Boxwood and Rosewood are also available for the Guaneri style . ชุดรองคางไวโอลิน The GelRest Pro is a complete chinrest. The GelRest cushion is securely mounted to our specially designed hand-carved frame. 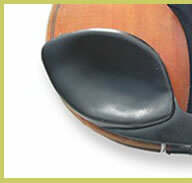 Guaneri, Kaufman, and Flesch chinrest styles are available. Boxwood and Rosewood are also available for the Guaneri style . 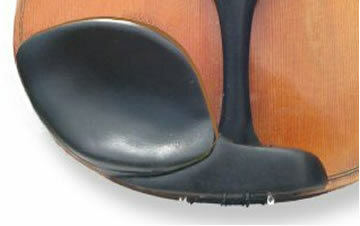 ชุดแผ่นรองคาง Viola GelRest The GelRest Pro is a complete chinrest. The GelRest cushion is securely mounted to our specially designed hand-carved frame. Guaneri, Kaufman, and Flesch chinrest styles are available. Boxwood and Rosewood are also available for the Guaneri style .